Find out what’s included, what else we can help with, and some handy event planning tips. If your requirements differ from the stock we carry, you are more than welcome to provide or hire your own, however please note that provision of your own items does not vary our pricing. We understand how much planning it takes to bring an event together, and the extra services you might require for your function. Please see below for a list of optional add-ons we can assist you with, or point you in the right direction to our team of recommended suppliers. Kitchen facilities: please ensure you are aware of our minimum kitchen requirements. We can provide a full satellite kitchen if required, at an additional cost. Surcharges: charges apply for public holidays and out-of-town events. Service time: staffing charges apply if total service time (including set up and pack down) for your function exceeds 5 hours. Loss/Damage To Hire Equipment: will be billed to the client post-event if necessary. Waste Removal: aside from kitchen waste, disposal of all other rubbish is the responsibility of the client. Drinks Staff: are optional, and can be hired for the service of your beer, wine, champagne, softdrink, juice, and water only. Responsible Service of Alcohol: no shots, spirits or specialised cocktails will be served by our staff. Drinks staff will not provide service beyond midnight. With a number of large events under our belt, we’ve noticed a few extra things you may like to consider when planning your special occasion. 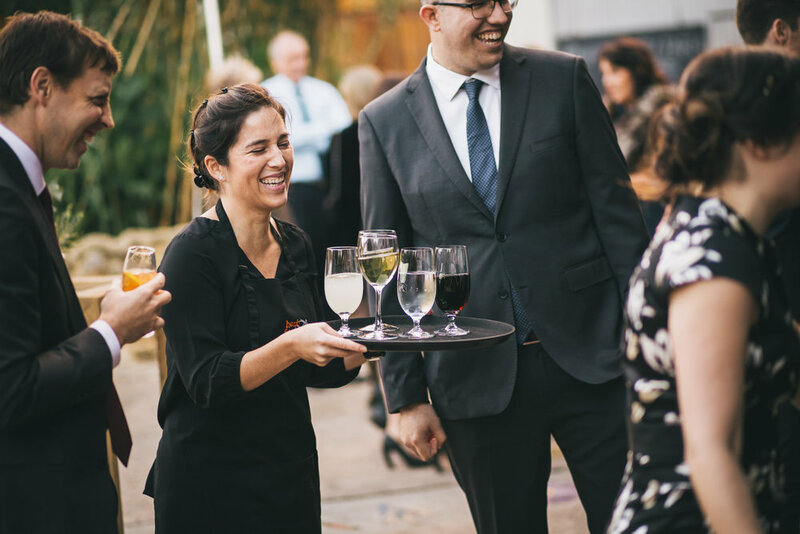 Alcoholic Beverages & Ice: We suggest using a supplier who offers a "cellar return" service so that you can over-order and then return any unopened beverages after your event. Grand CruWine Shop offer this service (so long as labels are intact and the product can be resold), and can also assist with advice on beverage and ice quantities, as well as delivery and collection. They can be contacted on wine@grandcruwineshop.com.au or 9271 0886. Water: It may seem an obvious one, but it can be overlooked! With the focus on beer and wine, it’s easy to forget that guests will also require water. Please ensure you provide either bottled water, or enough glassware, jugs, and access to fresh drinking water for your guests. Refrigeration: If you’re providing your own drinks, you’ll need to make sure your chosen venue has sufficient refrigeration facilities. If not, you may need to consider hiring a mobile coolroom. We recommend Auswest Coolroom Hire. They can be contacted on tony@auswest.com.au or 0414 405 039. Rain Contingency: It’s always a good idea to consider what would need to change (if anything) in the event of bad weather, and have a plan in place. Recommended Suppliers: Through our work in the events industry, we have worked with a number of outstanding professionals whose details we are more than happy to share. These include event stylists & planners, photographers, celebrants, florists and wedding cake specialists. Please be in touch for further information. 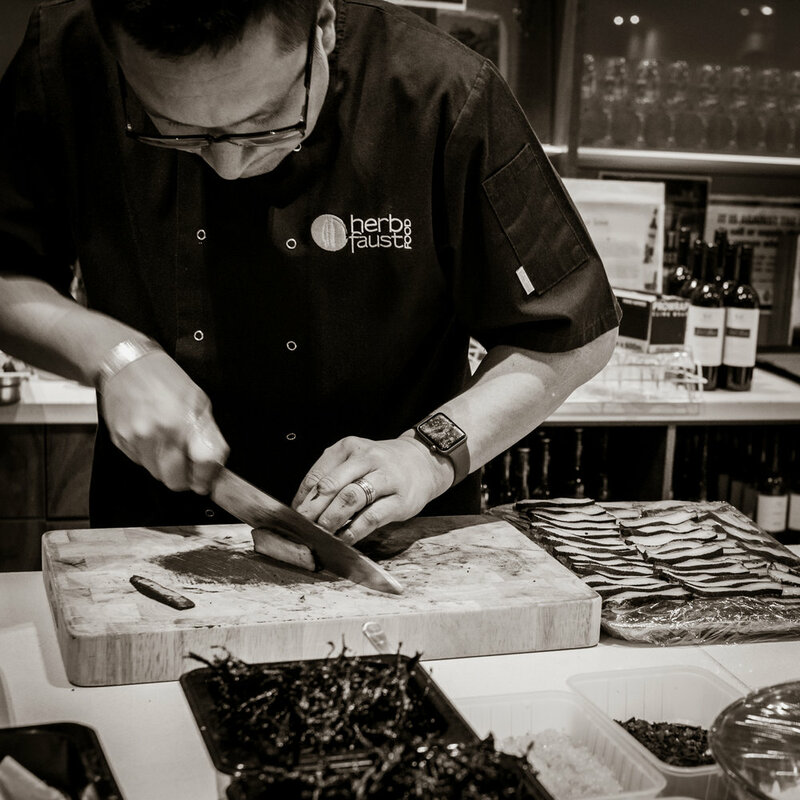 Venues: We have a comprehensive list of Perth venues who allow external caterers for their functions. Please be in touch if you would like a copy of this document.